Collecting Asylum: Asylum Reviews: Oxenfree [Xbox One]. 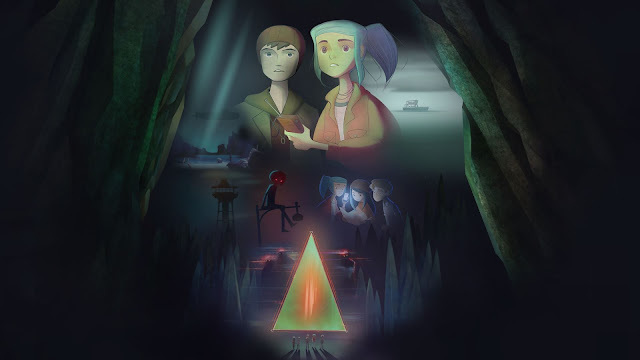 Okay, so I've just completed my third playthrough of Oxenfree and I still love it. It tells the story of Alex, a young blue-haired girl who goes to a fairly local island with her best friend, Ren and her new step-brother Jonas. Also there are Nona, a girl that Ren has a crush on and Clarissa, Nona's friend. There are numerous dialogue options in the game, starting from when you first start out on the ferry heading to Edwards Island, and going right throughout the game. What you say can, and will, affect your relationships with other characters, and can change the outcome of the game (and naturally, what achievements you get upon completion). Points of interest will be marked on screen when you get close to them with a small white circle. 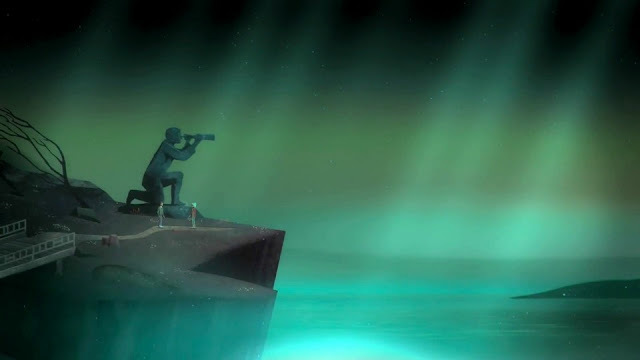 Often times, these points of interest will just give some more dialogue from the characters, as they discuss something else about the island, but it is quite interesting to listen to, despite the fact that sometimes dialogue can sound a little forced. The game really sets the tone with its unsettling vibe right from when you first enter the cave down at the beach. You, Alex, have brought a little portable radio with you from the ferry. It acts as a tour guide when on a certain frequency, talking about the island's history, but when you come into contact with little piles of stones and tune it, it will tap into some supernatural, otherworldly stuff. As the night progresses, things get stranger and stranger. You have to find and save your friends, as well as work out how to save yourself from the paranormal happenings on the island. I mostly liked the interactions between the characters, and while Ren's voice sometimes irritated me (moreso than any of the others) - he sounded almost as if he was doing a for-radio production, or a commercial at times, he did have some fairly humorous moments, including having a little too much "magic". The art style is beautiful, and it's rare to find a game so pretty, yet creepy at the same time. Enhancing the creep-factor were some time-loop situations, where you'd simply be plodding along only for it to snap you back to an earlier part of that trail. With the old VCR rewind-type lines at the top and bottom of the screen, Alex would suddenly be very confused by this bout of déjà vu, especially as the first few times it happens, Jonas (who you spend the majority of your time with) doesn't even fully realise. Sometimes suffering due to a lack of a run button, especially on repeat playthroughs, I do wish there was a faster way to move. I understand that it's so the game isn't over super fast by people just running straight through without listening to dialogue at all (being that the game is only about 4 hours or so, as it is), but I'd have at least liked there to be a run function of some sort, even if it only worked in non-dialogue scenarios such as when I was going round the island again to get all of the anomalies and letters for various achievements. Overall, I really enjoyed Oxenfree and would recommend that everyone pick it up. It's beautiful, it's fun, it's interesting, and even if you end up not liking it, it's a short game so you can get through it in no time - which also severely helps for repeat playthroughs for achievements. My third, final playthrough was to get an achievement for not speaking throughout the entire game, so any time a dialogue option comes up, you'd just have to let it time out. Had I realised that was an achievement beforehand, I could have planned out my playthroughs and did it all in two runs, but after my first playthrough, I needed to speak in order to make another couple of achievements happen, which then meant I had to play a third time silently. 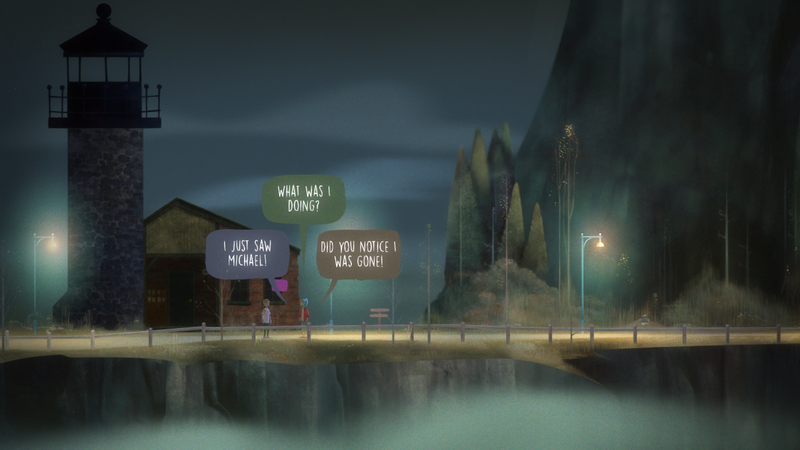 Oxenfree is available digitally on PC. Mac OSX and Xbox One, with a PS4 version coming at some point in the future. A physical copy (well, in terms of an Edition, the game still comes via a downloadable code) is available here from iam8bit. It's highly limited and stocks are running low, so be sure to grab one soon. We got it recently and it's fantastic, so expect to see an unboxing/review of that shortly, too! 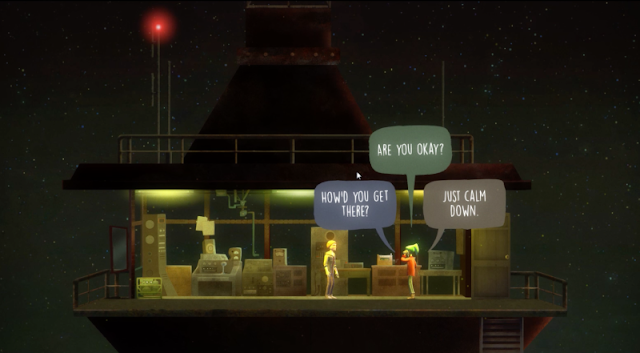 Have you picked up Oxenfree? What did you think of it?